There are so many reasons that people are forced to sell their houses and do not have the time, patience, or focus to either sell it by themselves, or deal with the headache that comes along with using a real estate agent. With us, selling your house won’t be a stressful process. We’ll do all the worth for you. Does your home need repairs? We’ll perform them, and pay for them! 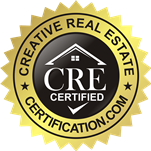 We will never charge you a commission, as we are real estate investors, not agents. If you need to sell your home now, and get fast cash while doing it, let us make you an offer today. WeBuyHousesVallejo.com is ready to help. If you live in the American Canyon, Napa Junction, Crockett, Port Costa, or Shelby, or Torney, we will make you an offer today on your home. Fill out the fast cash offer below, and sell your home now for fast cash. In life, all homeowners experience challenges one way or the other. Everyone either has hardships, or just changing circumstances in general. Whether you are relocating, own a vacant home, are upside down in your mortgage payments, owe liens, have downsized, need repairs that you don’t have the money for…we are here. Let us get your home sold, for the cash you need, fast. No matter what circumstances you are selling under, or the condition of the home itself, you can trust WeBuyHousesVallejo.com to turn your circumstances around today!